"The World's Strangest Heroes!" That's how the Doom Patrol has been billed since DC's premiere team of misfits first debuted over five decades ago. They will soon arrive on DC Universe in the Doom Patrol's first-ever screen series; and most of their long and storied comics history can now be enjoyed right here on DCU, where we've got their orginal 1960s Doom Patrol comic book, as well as Grant Morrison's much celebrated 1989 revamp, starting with the landmark Doom Patrol #19, and Gerard Way's recent reimagining. The Doom Patrol first appeared in 1963's My Greatest Adventure #80. Their first story was written by Arnold Drake and Bob Haney and drawn by Bruno Premiani, and the first iteration of the team set the stage for its freaky future. They were originally known as "The Legion of the Strange", with the team's most popular member Robotman (injured race car become superhero Cliff Steele) originally referred to as the Automaton. The other founding members were Rita Farr's shapeshifting Elasti-Girl, Larry Trainor's out-of-body adventurer Negative Man, and of course the team's leader, the brainy Doctor Niles Caulder, better known as The Chief. From the start, the Doom Patrol enjoyed one of DC's wildest rogues galleries, including such wonderful weirdoes as Animal-Vegetable-Mineral Man and the Brotherhood of Evil. The team once worked with Jack Kirby's Challengers of the Unknown to defeat Multi-Man and Multi-Woman, and even crossed paths with The Flash in The Brave and the Bold #65. It's also worth noting that their first eponymous series introduced Beast Boy in Doom Patrol #99. When sales began to wane, the comic was canned, with the creative team killing off almost every member of the team in Doom Patrol #121, as the heroes sacrificed themselves to save the small fishing village of Codsville. 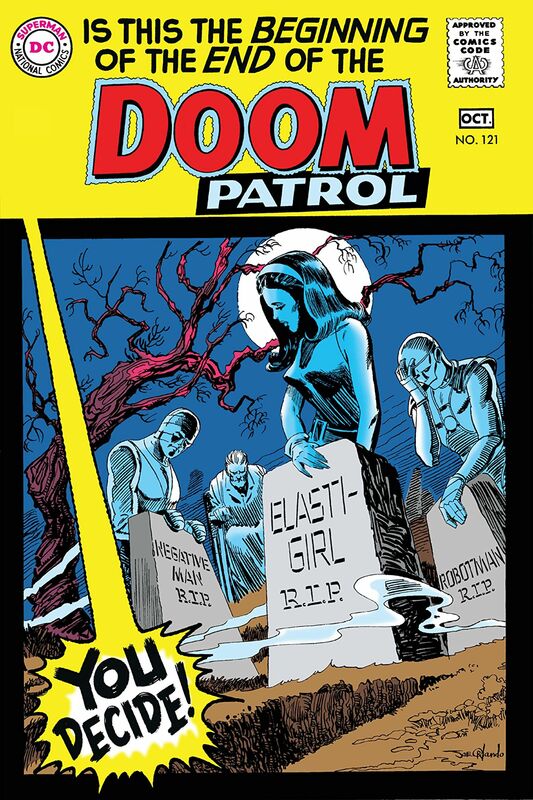 That wasn't the end for the Doom Patrol, though, as they were resurrected by longtime fan and writer Paul Kupperberg and artist Joe Stanton in Showcase #94. 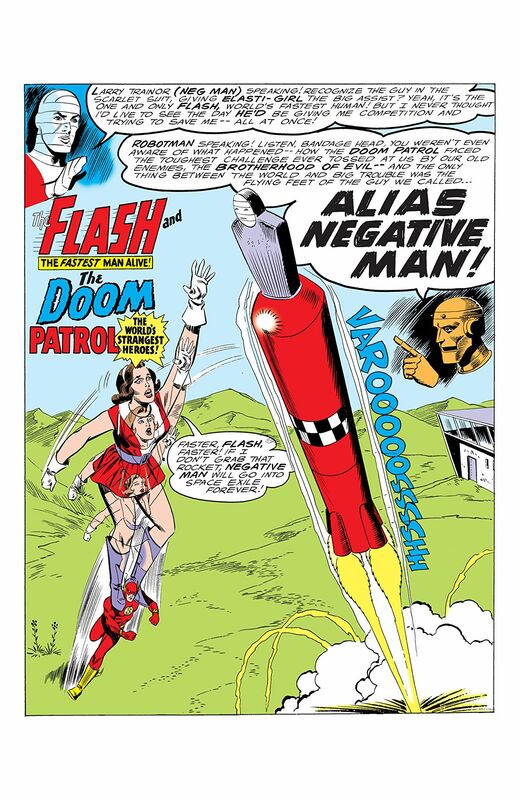 This iteration of the Doom Patrol was a little more like your standard superhero team and saw a reimagined Robotman working alongside new characters, including Celsius, the Chief's never before seen wife, Valentina Vostok, an astronaut who now held the powers of the Negative Spirit (which had formerly possessed Negative Man), and Tempest, a fire-powered hero and Vietnam War vet. This version of the team didn't get an ongoing series after they debuted, but instead appeared in multiple DC titles, including Marv Wolfman and George Perez' iconic The New Teen Titans. Kupperberg would try again with artists Steve Lightle and Erik Larsen in the team's second eponymous volume; but it was a new version of the team in this title that would redefine the Doom Patrol forever. A young Grant Morrison was brought on to follow Kupperberg on the book. In a creative favor to the new writer, Kupperberg got rid of any characters that Morrison didn't want to use, which left Morrison in the perfect place to reimagine the team in his own vision. His would become the definitive version, as he introduced Crazy Jane (each of whose 64 extra personalities wields a different super power) and Danny the Street (a sentient, cross-dressing thoroughfare). He also made Dorothy Spinner the Ape-Faced Girl a core character, and created an entirely new version of the Negative Spirit named Rebis -- a genderfluid hybrid of Larry Trainor, the Negative Spirit itself, and a Black female doctor named Eleanor Pool. The series also introduced a new version of the Brotherhood of Evil known as the Brotherhood of Dada, surreal strongman Flex Mentallo (who earned his own Morrison-penned limited series), and other far-out characters that made the run stand apart from all others. After Morrison left, the series was taken over by writer Rachel Pollack, who continued Morrison's psychedelic exploration for 24 more issues. Then the team was put on hiatus for six years until they were bought back by writer John Arcudi in 2001, in a 22-issue series focused on Robotman, and new characters Fast Forward, Kid Slick, Fever, and Freak. Later, yet another Doom Patrol team would be introduced with veteran DC heroes like Elongated Man, Metamorpho, Doctor Light, and Beast Boy. Writer-artist John Byrne relaunched the series in 2004, adding new members Nudge, Grunt, and Vortex whilst retconning a lot of the existing Doom Patrol canon. Following 2005's Infinite Crisis, Byrne's retcons were undone, and the Doom Patrol was relaunched once again in 2009 by Keith Giffen. Mainly built off the original team, Giffen and artists Matthew Clark and Ron Randall also added Mento (Elasti-Girl's husband and the adoptive father of Beast Boy from the original Doom Patrol series), along with Bumblebee and Vox. This time the team's series lasted for 22 issues before being cancelled. After that, the team was resigned to guest spots in the odd DC comic during the New 52 era until writer Gerard Way relaunched the title as part of his Young Animal imprint in 2016. Way is a self-proclaimed super fan of Morrison, and his title was heavily influenced by Morrison's seminal arc. 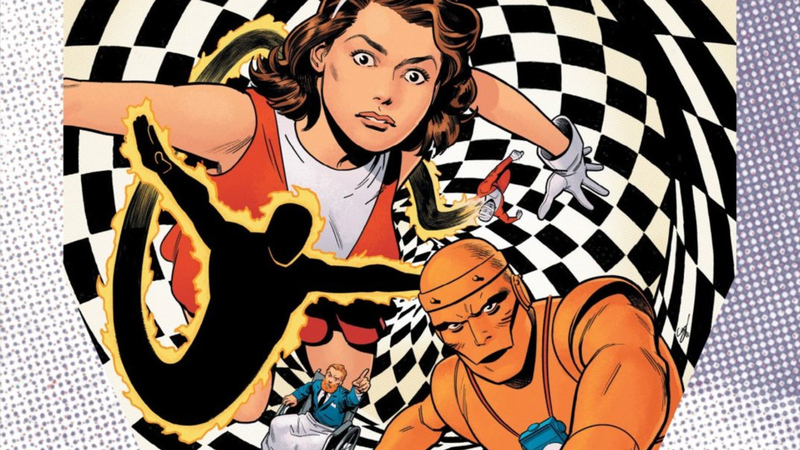 This latest Doom Patrol comic has focused on a new addition, Casey Brinke, actually a creation of Danny the Street, who used her to communicate through comic books. It's a fittingly meta conceit for a new era, and the tale included a mix of new and classic characters like Crazy Jane, Niles Caulder, and Cliff Steele. The Doom Patrol, however, hasn't just appeared on the page, as the classic team recently appeared on DC Universe's Titans, though that wasn't their first time hitting screens. In 2005, the heroes featured in the animated Teen Titans series episode "Homecoming: Part 1", which saw Beast Boy's original team in need of assistance. 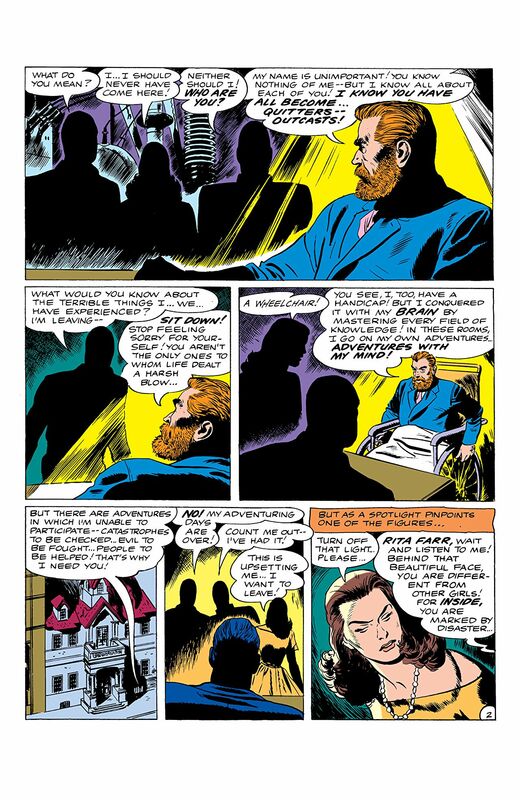 This iteration of the group saw Elasti-Girl, Robotman, and Negative Man led by Mento, whose connection to Gar mirrored their history in the comics. Doom Patrol returned to the animated world of DC with 2010's The Brave and the Bold in "The Last Patrol!" Reuniting Beast Boy with Niles, Rita, Larry, and Cliff, the usually upbeat series took on a more somber story, explaining how the team was once beloved, with a large fan base, until a young woman died on their watch. This episode, inspired by Doom Patrol #121, saw the team brought back together by an evil villain, and forced to decide whether to save themselves or a group of civilians. Most recently, fans saw the Doom Patrol return in a hilarious and heart-wrenching Teen Titans Go! 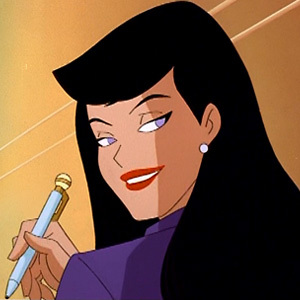 parody in an epsode of Young Justice: Outsiders. It again saw the original lineup with the addition of Negative Woman and Beast Boy. Heavily based on the classic origin of the character, the VR-induced hallucination explained that during his absence Gar was apparently adopted by Rita before being left with her husband Mento after she and the other Doom Patrol members died whilst on a mission. It was a psychedelic take on the heroes which leaned into their '60s origin as well as featuring a whole bunch of DC Easter eggs! The next place you'll be able to see these wonderful weirdos will be when their new DC Universe series debuts on February 15th, but in the meantime you can enjoy a whole bunch of Doom Patrol content right here! Are you a Doom Patrol fan? Let us know in our Community!